SSL Certificates provide secure, encrypted communications between a website and an internet browser. They protect sensitive information such as credit card information, usernames, passwords etc. 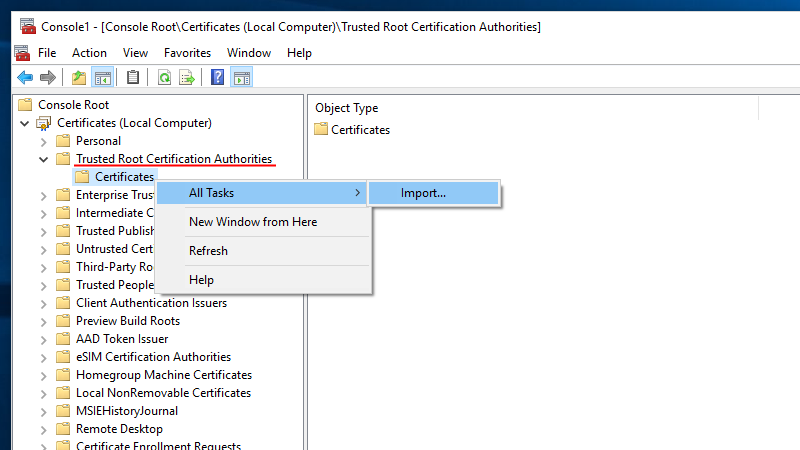 Each certificate needs to be issued from a trusted Certificate Authority. 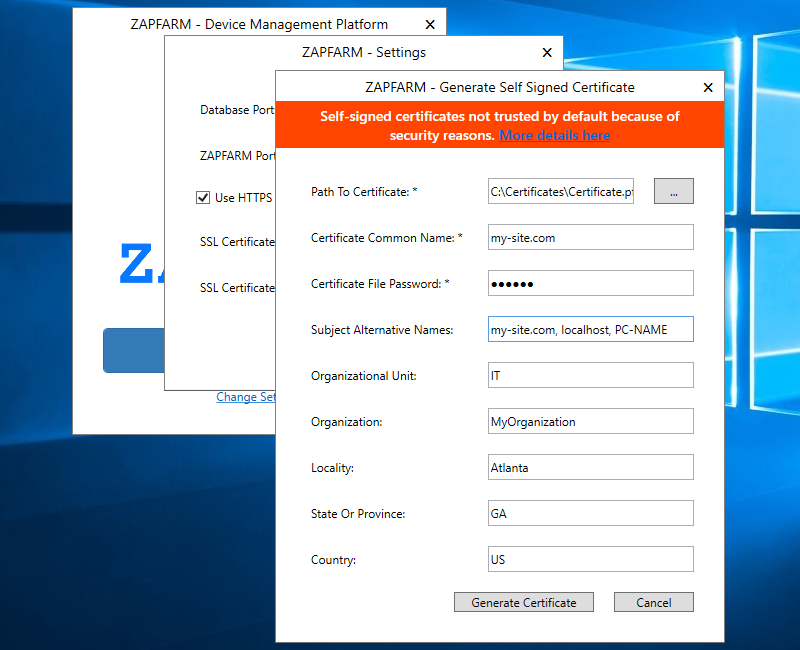 Self-signed certificates are not trusted in most applications by default because of security reasons. 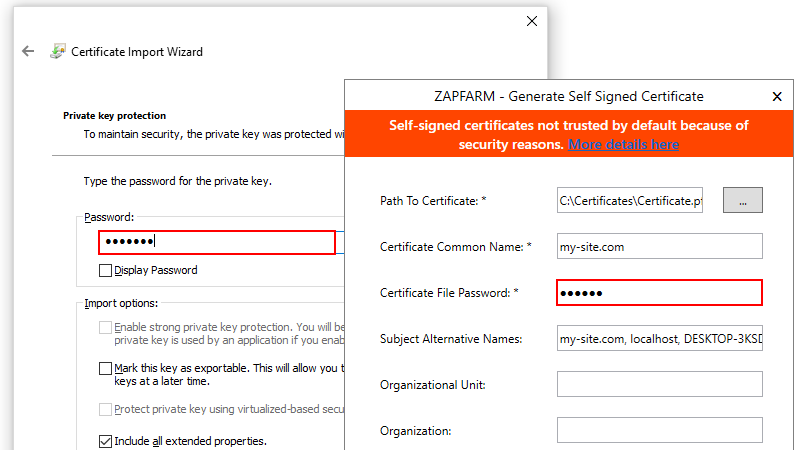 Lets try to create self-signed SSL certificate and make it trusted on local computer using ZAPFARM. 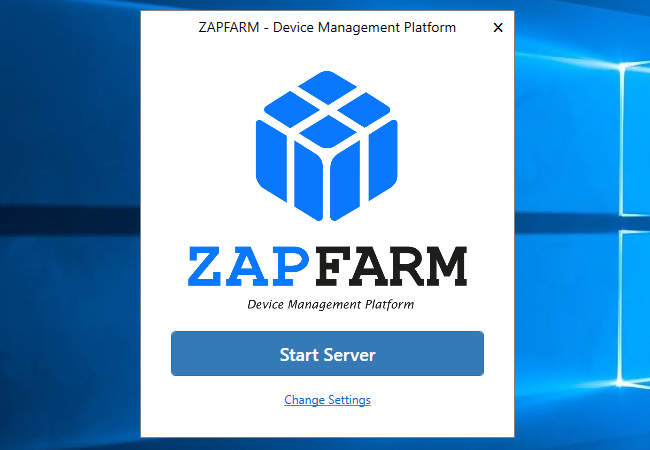 Run ZAPFARM application, click Change Settings ➜ set Use HTTPS ➜ Generate Self-signed Certificate. 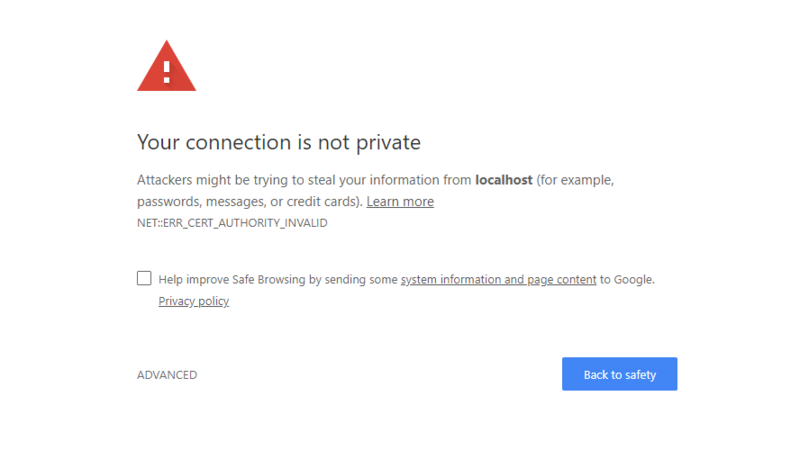 Type certificate information: certificate file path, common name (host + domain name, i.e. www.example.com),password, subject alternative names (additional hostnames, i.e. localhost). Other fields are optional. When all information is set, click Generate certificate and close all windows when certificate will be generated. 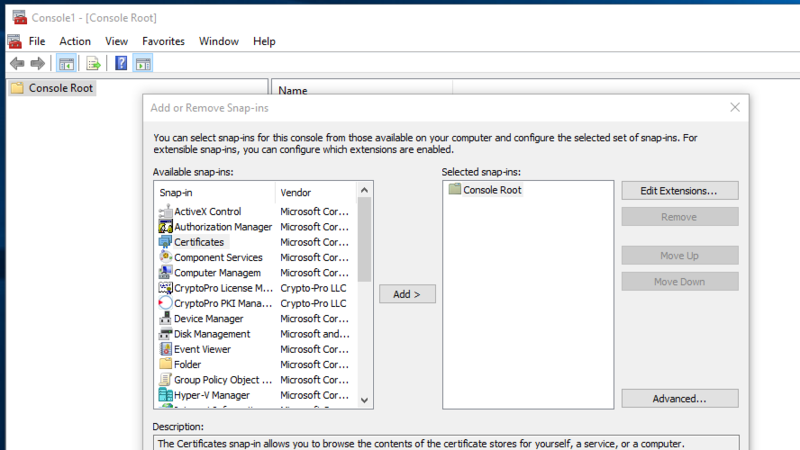 Now lets make new certificate trusted. 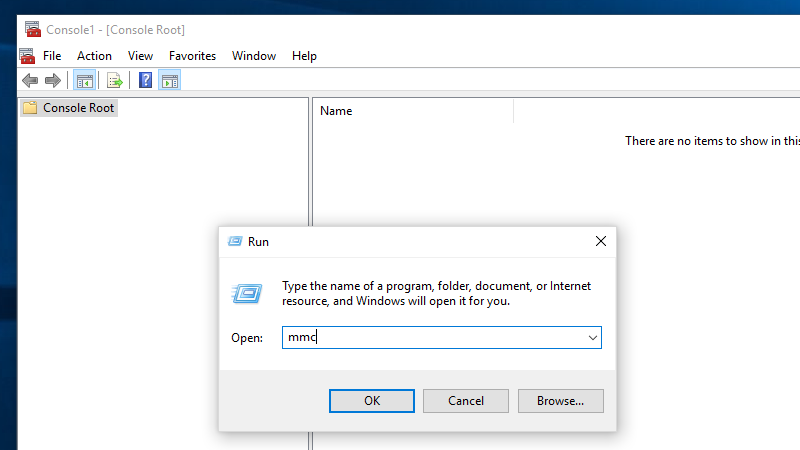 Open Microsoft Management Console: Click Windows + R, type "mmc" and press Enter. Go to File, choose Add/Remove Snap-in. 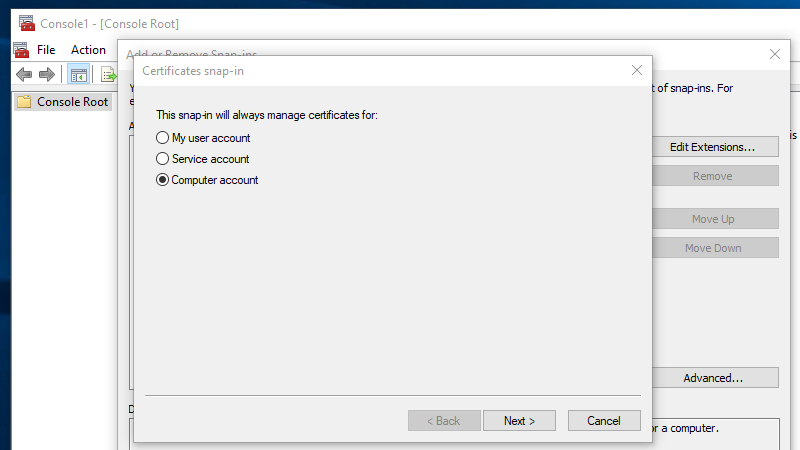 Double-click Certificates in the list to the left. Choose Computer account and just go next, finish and OK.
Open Certificates folder inside Trusted Root Certification Authorities folder, right click ➜ All Tasks ➜ Import. Click Next, set path to generated self-signed SSL certificate and click Next. 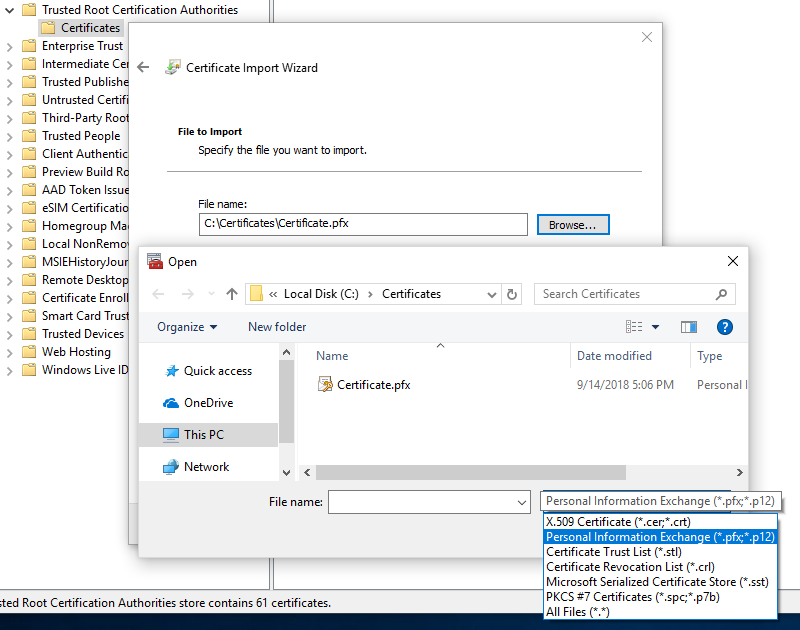 Certificate file has .pfx extension, so you need to change file type to Personal Information Exchange in file dialog. Type certificate password. This password you have set when generated self-signed certificate. Keep going next until finish where a message box should appear saying "The import was successful". 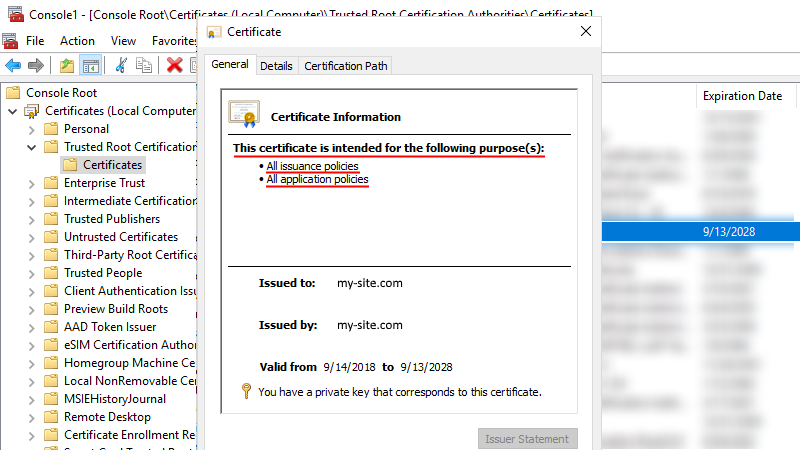 Double click on certificate name in the list and see that it is now trusted by your computer.